If your card has expired, is out of funds, or you want to change it for whatever reason, you just need to follow a couple of simple steps in NutriAdmin. Step 2: You will find information about your NutriAdmin subscription. Scroll a bit until the part where it says Card. 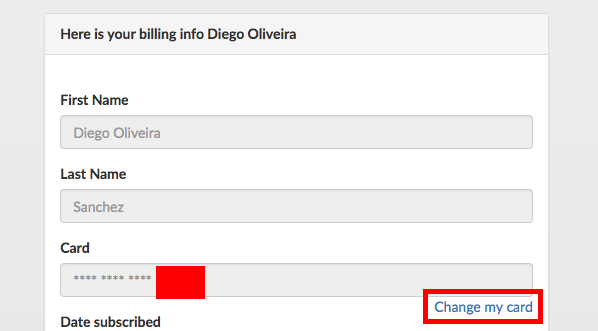 Then, click on Change My Card. 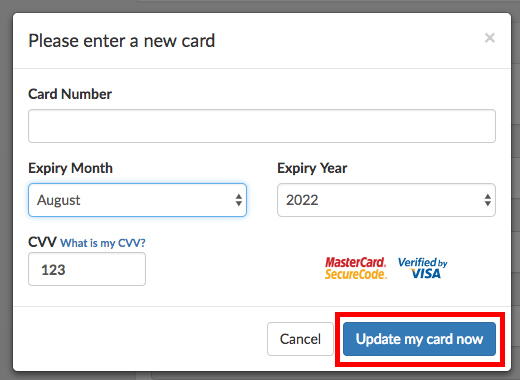 Step 3: Fill in your new card details, then click on Update my card now. Done. From now onwards, any payments/refunds to/from NutriAdmin will be debited/credited to your new card.